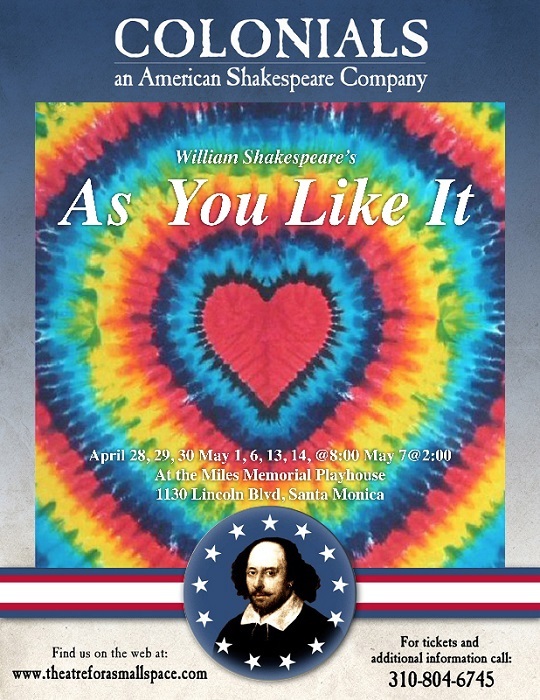 As You Like It opens at Miles Memorial Playhouse in Santa Monica on April 28 and will run through May 15. Tickets are $20 – $1- for students and seniors. (Now that’s a deal) For more information go to Theatreforasmallspace.com.